If the pump on your swimming pool is due for a replacement, making the move to a two-speed or variable-speed model will cut energy costs and may provide other benefits as well.The pump serves as the heart of your pool’s equipment system. 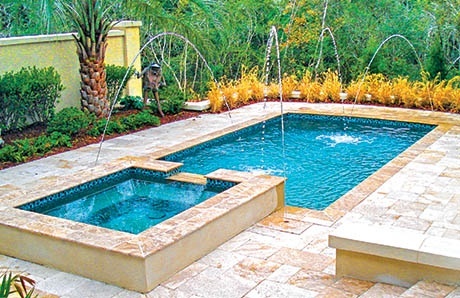 It creates the needed water flow for the critical functions of circulation and filtration, as well as for features such as spa jets, water features, and some types of automatic pool cleaners. While the pump is among the most important pieces of the pool’s equipment, it also consumes the most energy. If you own a pool with a traditional single-speed pump, you have likely experienced this undesirable characteristic first-hand with your monthly utility bills. 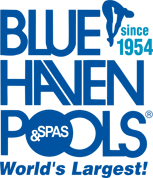 To be effective, pool pumps must run a minimum number of hours every day to “turn over” the water in the pool. Doing so provides adequate water circulation for filtration and purification—critical activities for ensuring a safe swimming environment. Typically, the needed daily run time is about eight to ten hours, especially when your pool is frequently used. During the offseason or when no one is swimming for long periods, the minimum daily hours can be cut to four to six. Used for decades in residential pools across the country, single-speed pumps have a proven track record. However, that record includes high energy consumption: In fact, according to Green Building Advisor, a single-speed model may use more electricity than any other appliance in a single-family home. The reason: As its name implies, a single-speed pump can operate at only a one setting—typically 3,450 revolutions per minute (RPM). That high speed requires high energy. What’s key to understand is this: Only some swimming pool functions, such as spa jets and some automatic cleaners, require high water flow—and the energy-intensive pump speed to generate that flow. Other functions, like circulation and filtration, do not. Think of a single-speed pump like having a car you can drive only at full speed. Top speed is needed to keep pace on the freeway, but it’s not for a trip to your neighborhood grocery store. Just like driving fast uses more gasoline, running a pump on high speed uses more electricity. For this reason, using a single-speed pump is, frankly, a less efficient method for operating your pool. Fortunately, two alternative models exist: A two-speed and a variable-speed. These pumps have the ability to control and adjust the water flow—using lower speeds that demand less energy use. If your current pool pump is single-speed and you will be replacing it, then it’s worth learning about these two alternatives and the benefits of converting to one of them. The beauty of two-speed pumps is how they can power certain pool functions at lower speeds. Returning to the automobile example: If you need to go buy groceries, it’s perfectly fine to drive at 30 mph on the streets to get to the store; you don’t need your car motor to burn up fuel at 60 mph to get you there. The same goes for a two-speed pool pump. With two available settings, this pump can switch between high and low speeds—generally 1,725 RPM or 3,450 RPM. By doing so, the pump can use low speed for those pool functions that require minimal water flow. During the time a pump runs on low speed, it provides the water flow needed to get the job done—but nothing more. The result: No extra energy use over the minimum actually needed. That’s a major advantage that their one-speed counterparts just can’t deliver. For the majority of the needed daily operating time, the pump runs on low speed. However, when called for, the two-speed model delivers maximum power. So, when time comes to clean your pool or operate water features, the pump can switch to the high setting. Once it does, the pump boosts the water flow to fulfill these more-demanding functions. Bear in mind: For a pump on low speed to turn over the same amount of pool water for filtration and circulation as a pump running a high speed, it will need to run more hours per day. However, even with the extra hours of operation, the pump will still use less energy. Here’s why: According to the Pump Affinity Principle energy saving are disproportionate as pump speed drops. For example, if you cut the pump’s RPMs by 50%, it will not yield a 50% energy savings—it actually delivers a savings of 75%. A variable-speed pump brings the two-speed concept to the next level of versatility. It can operate at various speed increments—as low as 600 RPM, as high as 3,450 RPM, and at any speed in between. Like two-speed pumps, you can control the water flow to fit the specific function. However, with additional speed options, the pump’s adaptability provides even greater energy-savings and performance advantages. Particularly if your pool has various water features, a variable-speed unit is a smart choice. Because it offers intermediate speed levels, it can provide the optimal water flow—without sending so much that overflow results in a fountain, waterfall, or other water feature. For example, you can fine-tune the water flow from 3,450 RPM to 3,000 so it’s perfect for your cascade water features without sending them too much water. You can program the various settings to automatically change speeds—essentially “set it and forget it.” Once the timer is programmed, the pump will alternate speeds throughout the day to create the ideal amount of water flow to get the job done for each function. For example, from 8:00 am to 10:00 am, the pump will operate on maximum speed to run filtration, purification, and an automatic pool cleaner. For the balance of the day, the speed can reduce to a lower setting to run the pool’s basic circulation on and filtration. If it’s time to replace your pool’s single-speed pump, consider making the upcoming purchase an opportunity. Upgrade to a two- or variable-speed model, and reap the rewards for doing so. The most energy-wise pool pumps have two or more speeds that you can dial up or down, as needed. As outlined above, ditching your one-speed model for today’s two- and variable-speed units cuts energy use. So significant are the savings, that environmentally conscious California has taken serious notice—and action. The state legistlature recognized the inefficiency of single-speed pool pumps, and in 2008 it passed a law prohibiting their use. Toward the goal of conservation, pool owners in the Golden State buying replacement pumps must opt for a two- or variable-speed model. Energy costs vary depending on where you live, but you don’t have to reside in California to recognize the advantage of technology that’s kinder to both Mother Nature and to your wallet. The initial purchase cost for a two– or variable-speed pump may be more than a single-speed unit. However, the ongoing savings will typically offset that cost difference within the second or third year of operation. Another benefit of a two- and variable-speed pump is boosting the longevity of other pool equipment. Here’s why. A one-speed pump produces high water flow throughout daily operation. In turn, that flow exerts pressure on other pool equipment, like the filter or heater. The pressure level over multiple hours, day after day, takes a toll. Materials and components are subject to greater wear—increasing the odds for reduced performance and an earlier need for replacement. On the other hand, two- and variable-speed technology produces a different effect. By operating on lower speeds part of the day, these pumps generate lower water flow—which translates into less pressure and strain on equipment. With a single-speed pool pump, the motor inside goes at full speed whenever it’s on. Like the motor in a car that drives only at full speed all the time, it’s going to burn out sooner. Because they run at a lower setting part of the time, two- and variable-speed pumps can provide some level of relief for the motor. By reserving maximum capacity for only those pool functions that require it, this kind of motor will typically enjoy extended performance—and you may enjoy longer periods of time before you will need to replace it. Since it must operate at its only speed—a maximum—a single-speed pump may be noticeably noisy when running. If its location is situated far from your house, the decibel level may not matter. However, if your backyard is small and the equipment happens to be near a bedroom window, the sound may be a nuisance. The lower settings on a two- or variable-speed pump allow for a quieter environment when the unit is running. The low speed can be scheduled at times when minimizing noise is particularly important, such as evening or early morning when family members are sleeping. Your pool pump matters. If you need to buy a new one, invest wisely. Opt for a model with at least two speeds. While the initial cost to upgrade to a two- or variable-speed is more, your ongoing savings will typically make doing so more than worth it. For many pools and regions of the country where pool season is short or utility rates particularly affordable, a two-speed pump may fit the bill very nicely. It will cut energy use and provide other benefits outlined above. In other cases, a bigger upgrade to variable-speed technology may be warranted. Examples include regions with long pool seasons or sky-high electric rates, as well as large pools with a spa, heating system, or series of water features. Variable-speed models do carry the highest initial cost to purchase. However, they also provide the highest potential savings on monthly energy bills. Consult a swimming pool professional for recommendation on which kind of pump will provide you with the best overall value.